“Okra is such a delicious vegetable. In this dish, its mild flavour works wonderfully with the delicately spiced gram flour filling,” explains food YouTuber and former Bake Off contestant, Chetna Makan. 1. First, make the stuffing. In a dry frying pan, toast the gram flour over low heat for three to four minutes, until it starts to smoke and becomes aromatic. Add the oil and cook for another four to five minutes or until the flour begins to change colour. 2. Tip the gram flour mixture into a bowl, add the salt and spices and mix well. Set aside. 3. 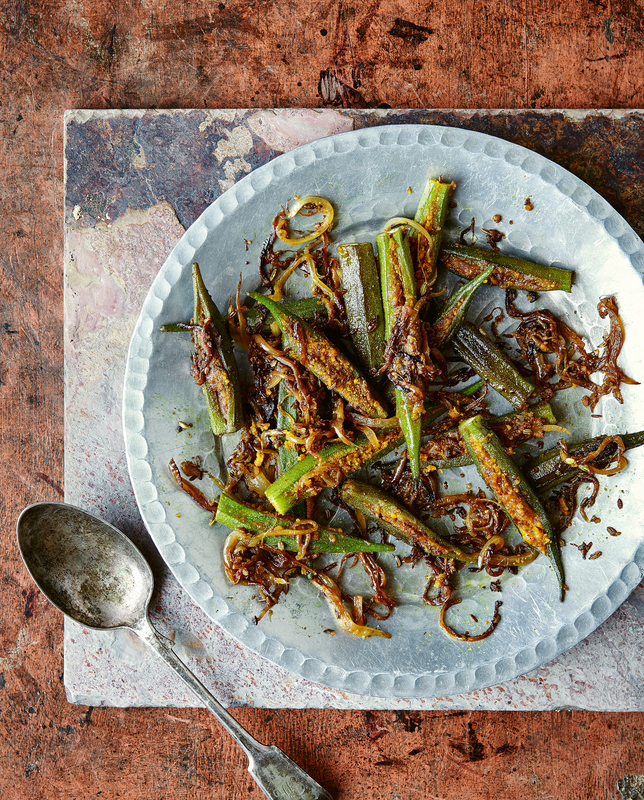 To prepare the okra pods, cut off the tops and slit them open lengthways. Fill each pod with half a teaspoon of the stuffing mixture. 4. Heat the oil in a wide frying pan over medium–low heat. Add the cumin and fennel seeds and cook for one to two minutes, until they begin to sizzle. Stir in the stuffed okra and sliced onion, increase the heat to medium and cook for two minutes, then cover the pan with a lid and cook for a further 20 minutes, until the okra is tender. Serve immediately.